You’ll wow your American counterparts. We DO love our small talk!
. You’ll avoid some potentially unpleasant pitfalls by knowing which holiday-related topics are too sensitive to touch. As a way of pre- testing your fitness on the topic, I have kindly developed a pop-quiz in two parts. I also threw in one Canadian holiday to keep things interesting. I’ve even provided an answer key below…but NO CHEATING!!! Americans sure do like their holidays…and sprinkle them year-round! Which holiday named above above belongs to which date? So, now let’s test your knowledge of the holidays’ significance. Fill in the correct holiday from above. Let’s celebrate! 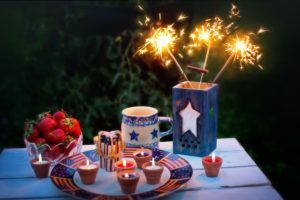 What do you know about the origins of American holidays? Veterans and Memorial Day: The American military is held—at least symbolically—in VERY high regard amongst Americans. Avoid critical words about the military or the holidays commemorating U.S. soldiers. While Americans are complicated on certain substantive matters regarding veterans, virtually no one disputes certain gestures customary to honoring those who have served and sacrificed. These include the two dedicated holidays, military discounts at many businesses and designated parking spaces. 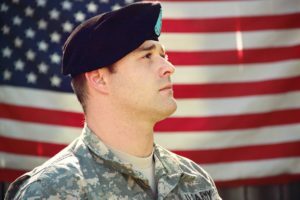 „Thank you for your service“ is a regular response when someone identifies him/herself to another American as an active or former member of the armed forces. Patriotism is a value that underlies many American-specific holidays. Flag Day: Americans take their flag very seriously, including giving it its own holiday. Although an unofficial holiday, many celebrate it by hanging Old Glory outside their homes. Again, Americans have a complicated relationship in substance with the flag; a very current debate is whether kneeling in front of the flag—especially while the National Anthem is playing—is a sign of disrespect to the flag and those who have fought for its ideals, or rather a sign of respect for the American values the flag symbolizes and those who have fought for those values, even as those values are applied imperfectly. If you’re interested in drilling down deeper into this debate, please start here. If you are a German (or other non-US citizen) in the United States and wonder what you should do during a Pledge of Allegiance or other ceremonial tributes to the U.S. Flag (with or without the National Anthem), have a look here. In short, stand at respectful and silent attention with arms at your side. Fireworks are common on Independence Day as well as New Year’s Eve (in some areas) in the USA. However, the sale and setting off of private fireworks may or may not legal, depending on where one lives in the States. If you are a German visiting or on assignment in the USA and would like to participate in the technicolor festivities, please check first with local and state laws to find out what is and isn’t allowed in your area. If you live in or work with folks from the American South, you will likely notice that some (especially those from Mississippi, Arkansas and Alabama) refer to Martin Luther King Day either simultaneously or exclusively as “Robert E. Lee Day”. Lee was a commander of the Confederate Army during the American Civil War. This practice is an indicator of the very complicated and still fraught history of civil rights in the United States. This is particularly true in the American South. Non-Americans should avoid chiming in on the topic. Remain in listening-only mode, however, and you will have a front-row seat to the dynamic–and still painful– process of Americans struggling with their complex history and its impact on modern times. Thanks to “Cyber Monday”, Germans can now enjoy the bargains of Black Friday without the crazed crowds! The fourth Friday of November (i.e., the day after Thanksgiving) has come to be known as Black Friday. This is the day that many retail stores in the United States offer extreme discounts to usher in the first day of Christmas shopping season. 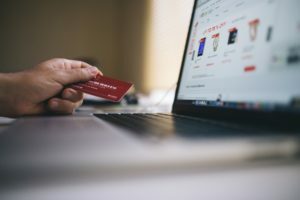 In the last few years, Black Friday, and its cousin Cyber Monday, has infiltrated the online shopping landscape. This has allowed Germans to feel the magic of this especially frenzied time of an already frenzied consumer season. 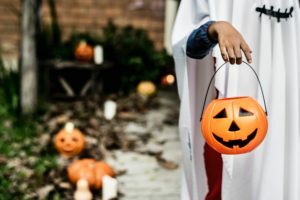 By knowing the dates and origins of special U.S. holidays, you’ll likely be a step ahead of many Americans. The next time you talk with your Stateside colleagues, give them the test to find out! If you have questions or comments on holidays or other U.S. topics, give me a holler! Previous story Three (-ish) Dos and Don’ts of Greetings: You Had Me at HELLOOO!